Te Awa is a single estate vineyard nestled in the heart of the Gimblett Gravels wine growing region in Hawkes Bay, New Zealand. The full Maori name given to the site is Te Awa o Te Atua which means 'River of God', a reference to the mysterious subterranean streams over which the vineyards are situated and from which the wines draw their exquisite, yet subtle characteristics. The quality comes from the free draining soil which consistently produces excellent fruit. Te Awa vineyard soils are the trails of the old Ngaruroro River which meandered through the region until a huge flood changed its course in 1867. The winery and restaurant are a stunning venue popular for weddings and events. With a lush garden set amongst a backdrop of beautiful vineyards it offers a welcoming rustic elegance. There are 3 different wine tiers that come from Te Awa. The original site expression, single vineyard wines that utilise traditional winemaking and Hawkes Bay icon varieties, particularly Chardonnay, Syrah and Bordeaux blends. Our freestyle contemporary range that allows us to move from the site, the region and the traditions of Te Awa. Kidnapper Cliffs wines adhere to time-honoured wine making principles, following a fundamental belief that the best wines are grown, not made. These ultra-premium wines are a single block expression from within the Te Awa vineyard specifically made to cellar. 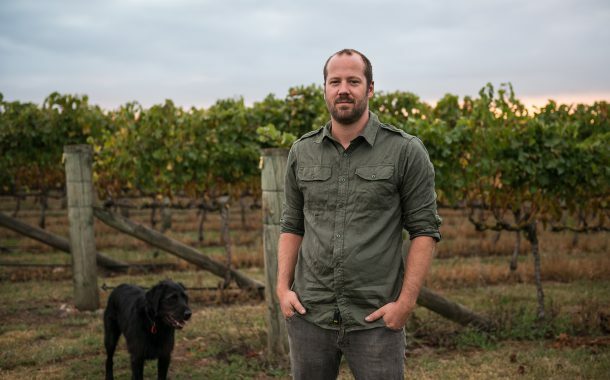 Richard studied a Bachelor of Science majoring in Geography at Otago University followed by a post graduate diploma in Oenology and Viticulture at Lincoln University. Richard’s career in the wine industry began working in the vineyards of Central Otago, Canterbury and Nelson, all in New Zealand’s South Island. During a year working at Neudorf Vineyard’s in Nelson, Richard discovered that he really liked Chardonnay and Pinot Noir and wanted to learn more about these wines. This took Richard to Oregon to work for Owen Roe Winery and as fate would have it, he ended up working in their facility in Washington State where he soon fell in love with making (and naturally drinking) bold red wines, particularly Cabernet Sauvignon and Merlot blends, as well as Syrah. This love of red wine took Richard to Hawkes Bay to work with fruit from the famous Gimblett Gravels winegrowing district. Richard joined Vidal Estate for the 2008 vintage and then stayed on to become the Assistant Winemaker in 2011. Working at Vidal also rekindled Richard’s passion for Chardonnay and confirmed his view that Hawkes Bay produces world class wines from this variety. In 2013, Richard took over the winemaking reins at Te Awa. Te Awa is a special site that has produced fine wine since 1994 as well as having a fantastic Restaurant and Cellar door. The soil composition of the different zones of the vineyard, ranging from very gravelly to more sand and silt loam, allows a diverse range of varieties to grow on the one Estate. These wines typically display both finesse and a wonderful depth of flavour. In 2017, Richard won the coveted Winemaker of the year at the as well as winning Champion wine of the show with the 2016 Te Awa Chardonnay at the Royal Easter Show, New Zealand’s longest running Wine Show. The Te Awa Estate is in Hawkes Bay, on the east coast of New Zealand’s North Island. The Te Awa vineyard sits in a unique position, straddling the boundary of the two most famous sub-regions of Hawkes Bay winegrowing; the Gimblett Gravels, and the Bridge Pa Triangle. These two sub-regions are uniquely defined by their soil composition. Hawkes Bay is perfectly suited to growing fine Chardonnay. Although the middle of summer can be warm during the day helping to produce rich, full bodied wines, the cooling influence of both the near-by Pacific Ocean and the diurnal shift in night time temperatures help to maintain freshness and acidity in the wines. There are two distinct soil types on the Te Awa Estate and Chardonnay is planted on both types. The Gimblett Gravels side of the vineyard consists of Gravel and sand, and the vines produce tiny yields of highly concentrated fruit. The Chardonnay from here tends to be linear and mineral in style. The Bridge Pa Triangle side of the vineyard consists of layers of silt over older free draining gravel. The “Triangle” is also influenced by cooler airflows coming down the valley off the inland mountain ranges. Typically, the Chardonnay off this side of the vineyard has more richness and body. The heavier soil profile on this side of the vineyard also means the Chardonnay vines are dry farmed. Typically, we pick our Chardonnays at 21 to 22° brix resulting in balanced alcohols and fresh acidity. The majority of our wines undergo natural fermentation of juice containing a high level of solids, to help build richness and complexity into the wine. The Leftfield Chardonnay is a lightly oaked style, fruit forward and refreshing. This is fermented in a mix of stainless-steel tank and old oak barrels. This wine is typically a blend of two vineyard sites, with the balance of the blend coming from the adjoining Joseph Soler vineyard, which is a cooler site than Te Awa. The Te Awa Single Estate Chardonnay is whole bunch pressed directly to French Oak Hogshead barrels where it under goes natural fermentation. This is a richer style wine, though still retains the elegance and freshness typical of Hawkes Bay Chardonnay. The Te Awa Estate has been steadily growing its reputation for producing fine Chardonnay, with numerous accolades at New Zealand wine shows over the last 3 years.